1. Smartphones (and tablets and other electronic devices) are permitted in church and you are free to use them. 2. The goal of using Smartphones is to allow you or others to be more involved in the service, not to distract you. (Letting people know where you are, sharing a photo, taking notes, or live tweeting the sermon is great. Looking at grumpy cat photos, not so much.) 3. Turn off the sound and don’t distract other people with whatever technology you may be using, including your voicebox – which is perhaps the oldest social medium. 4. Better to post something on social media during the announcements, hymns, or times when there is more noise or movement. Better to put down the device and focus during the Gospel and the Eucharistic Prayer. 5. God loves you and is glad you are in church. Do what you need to do, but try to maintain a spirit of worship and act like a mature adult, even if you aren’t chronologically an adult yet. 6. Regardless of these guidelines, do whatever your parents tell you to do (even if your parents are now in their sixties or seventies). The Ten Commandments trump Father Adam’s Guidelines. This entry was posted in Humor and tagged cellphones, humor, prayer. Bookmark the permalink. I have the Book of Common Prayer and the Episcopal Hymnal on my Smartphone, so I am never without them when I leave home. And this is way easier than carrying both books when I travel. 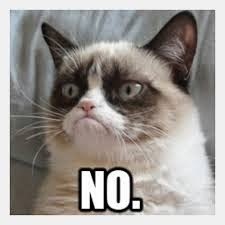 yeah but…..Grumpy Cat is like the best part!! !